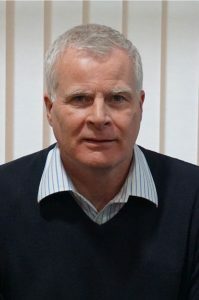 Ian Routledge founded Armstrong Optical in 1997 following a very successful time at Precision Optical Engineering (now Precision Solutions, part of the Matra BAe Dynamics consortium) where he managed the highly successful INTERFIRE infrared interferometer business unit. Prior to POE, Ian held positions with several UK-based high technology instrument distribution companies covering the fields of laser and interferometry technology. This included supplying Zygo interferometers to the UK market for several years and probably explains his continuing interferometer and optical metrology interest. As well as looking after the interferometry and optical test equipment business areas, Ian’s main role is as Managing Director of Armstrong Optical.